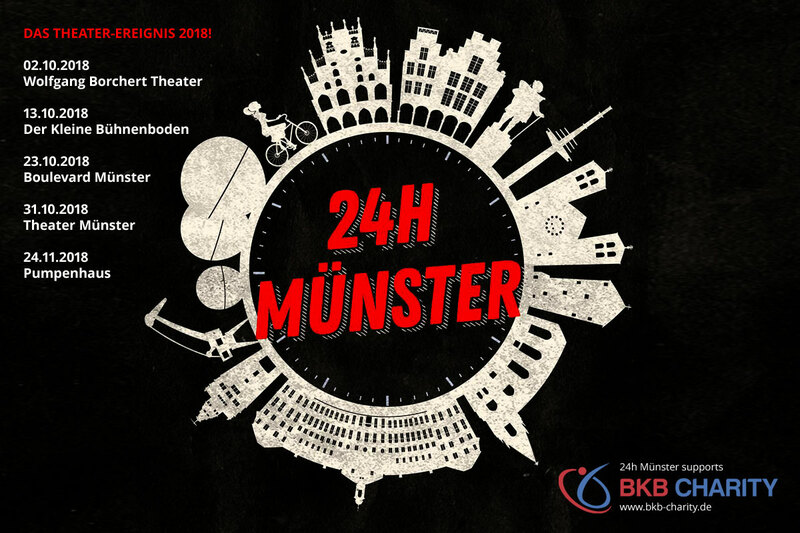 24 hour Münster involves 24 different theatre pieces and stories in one, presented by more than 50 different theatre players. At hourly intervals the audiences at five stages and on five dates in October and November can together dive into what Münster has at its heart: its people and their history. Under the patronage of Klaus Brinkbäumer (Editor-in-Chief DER SPIEGEL) and Leonard Lansink (alias Wilsberg), players from all theatres and Münster’s independent scene are working together for the first time. The jam-packed events on stage for this marathon event create a new, surprising, and perhaps never before seen reality of Münster.